If you’re learning tech to make a living, here’s an important stat you should mull over: Job seekers with Cisco network administrator skills make an estimated 9 percent more than a fellow job hunter without those talents. Cisco remains the preeminent name in system networking and coordination, so it stands to reason that those who understand the ways of Cisco will be rewarded more handsomely. 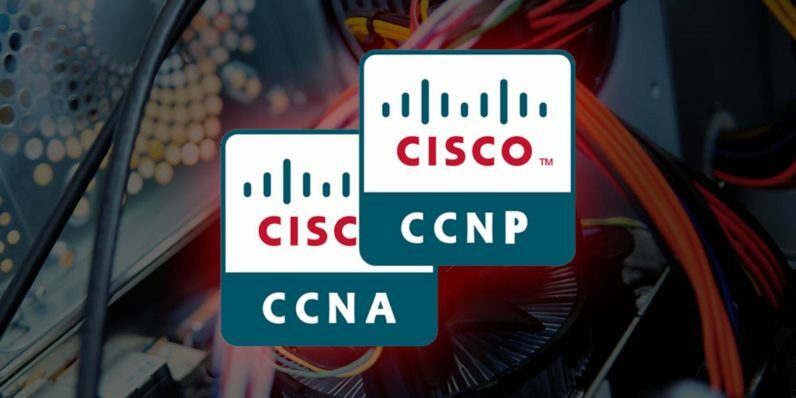 You can put yourself in line for that bigger payday with this bundle of Cisco Certified Network Associate (CCNA) and Professional (CCNP) certification training. Right now, you can get that training at over 90 percent off retail — just $55 — from TNW Deals. Your learning begins with what it takes to be a certified Cisco network engineer, specialist or administrator, configuring, running and maintaining a fully-routed and switched network. The instruction covers all the introductory info you need, allowing you to understand IP, OSPF and ACLs, configure IPv4 and IPv6, secure a VPN and more. Next, your training inches up a notch to cover Cisco Certified Professional Associate terrain. In that course, you’ll focus on finding solutions to common and complicated networking problems. You’ll dig into some advanced-level work using Cisco IP Routing and Cisco IP Switching tools that allow the trained eye to spot and address network communication and security issues. Once you’re finished, you’ll have the background to take five different Cisco certification exams, credentials that show any hiring manager that you’re knowledgeable and capable of handling network administration duties. Training like this usually costs almost $1,500. However, with the current deal, you can get this in-depth Cisco tutelage for only $55.